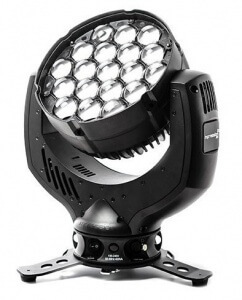 The impression X4 features 19 RGBW high output LED’s. In its slimline body, with no base unit, the impression X4 houses a 7° to 50° degree zoom range, full color mixing including CTC and customizable pixel patterns across its front face. Weighing just 17.5 lbs., the impression X4 delivers high output with even color mixing across the beam at all angles. With its RGBW homogeneous sources, offers a wide color palette from soft pastels to deep saturates.